On Wednesday, March 20, Universal Studios aired a private screening of Jordan Peele’s new horror film “Us” in Cramton Auditorium. The movie was followed by a panel featuring Peele and the film’s leads, Lupita Nyong’o and Winston Duke. 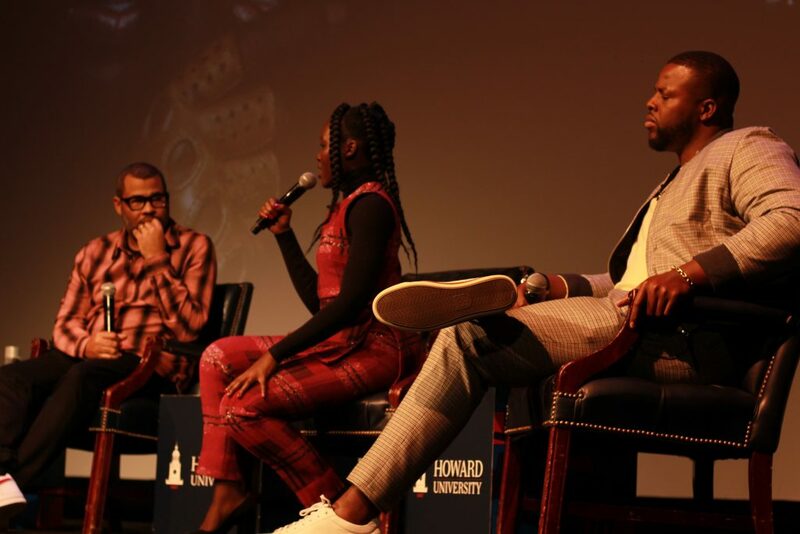 The private event was open to Howard students only, and the free tickets were distributed on a first-come, first- served basis and were sold out within the first. Monday, March 18, students waited in line for hours for a chance to receive a ticket to the event, representing the excitement the film had garnered since its trailer release on Christmas Day 2018. “Us” explores the idea of duality, otherness and becoming your own enemy. With tension and comedy, Peele wrote a story that asked a lot of its audience: dis- trusting yourself; seeing the evil within. With a black family at the center of the story, including a dad (Duke) dawning a Howard University sweatshirt, “Us” appealed to a demographic that does not often get to see itself represented in the genre. Genre itself is something Peele likes to turn on its head. Nyong’o said to prepare for the genre-bending roles of her protagonist and antagonist self, she had to do an extensive amount of research into trauma and what role it played on psyche and physicality. She and Duke both cited their excitement to “lend their artist- ry” to the complex story. “It definitely stretched us as actors,” Duke said. The thriller is set to release Friday, March 22.